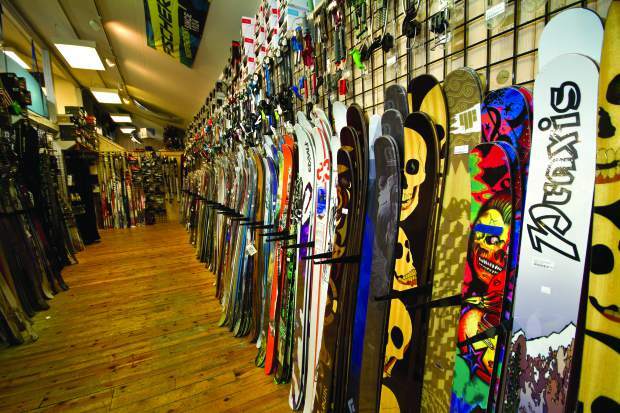 Tahoe Sports Hub in Truckee carries a wide range of brands for skis. TAHOE-TRUCKEE — There’s a never-ending list of things to explore and do around Lake Tahoe. Whether you’re in need of the right outfit for a night out, the best gear to hit the slopes or a few distractions for restless kids, Tahoe-Truckee stores have got you covered. Here’s our guide to navigating shops around the lake, with three key categories to capture every visitor — for the fashionista, for the adventurer and for the family. Sidestreet Boutique offers carefully curated items from all over the world. Owner Barbara Parina travels internationally to places such as Paris, London, China and Singapore to find unique items for the store. Parina says her shop is the perfect place to go to find apparel that one wouldn’t find in any other store. In addition to women’s, men’s and kid’s clothing, Sidestreet Boutique carries dresses and offers tuxedo rentals for special evenings out in Tahoe. Some must-have winter items to look for at this store include quilted jackets, short boots and sweaters. On the racks: Browse this shop for a large variety of women’s fashion items, shoes and accessories. On the racks: Drop in to J Boutique to shop their tops, dresses, jackets and accessories for young women. Fine ‘N Funky carries more sophisticated styles for events and everyday wear for both men and women. They often stock new styles that already have a following online. Owner Lisa Arnbrister explains that the store provides “coveted fashion made famous and popular by bloggers and websites.” Fine ‘N Funky will have several must-haves this winter including leggings, beanies and cashmere scarves and sweaters. Arnbrister said a few items that shoppers keep returning for are a Lake Tahoe necklace, leggings and Ugg boots. On the racks: Karma offers designer consignment clothing and accessories for men, women and kids. On the racks: This boutique carries women’s fashion and shoes, as well as gifts for all ages and home decor. Cabona’s offers both men’s and women’s clothing in its downtown Truckee store, which was first established in 1918. “What we carry is good quality clothing for an active lifestyle,” said owner Stephanie Olivieri. At Cabona’s you’ll find many brands that keep many shoppers coming back, such as Pendleton, Levi’s and Johnston & Murphy. Olivieri said that some must-haves for this winter at her store include a variety of sweaters (cashmere, icelandic and wool), coats and leather and waterproof boots. On the racks: Nomad carries young and modern clothing, swimwear and accessories for women at an affordable price point. On the racks: A staple in the area with several locations, this store specializes in premium denim brands as well as unique clothing for men and women. Tahoe Sports Ltd. carries almost any gear that you could need in your Tahoe adventures. 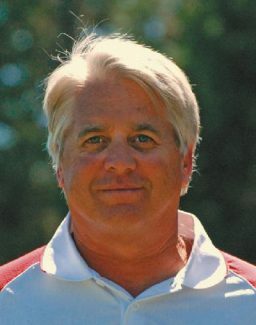 “We cater to outdoor enthusiasts,” said manager Patrick Gillick, who also described the store as a “full spectrum winter shop.” Tahoe Sports Ltd. offers gear for skiers and snowboarders as well as back country equipment and clothing. They also offer custom boot fitting. Gillick said they sell a lot of sleds during the winter, as well a cold weather accessories such as beanies, gloves and handwarmers. 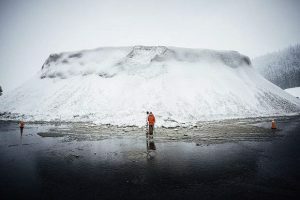 Get the gear: Widely-known for their quality gear, The North Face carries a huge inventory of outerwear and equipment for outdoor adventuring. Get the gear: Village Ski Loft is a go-to place for anyone who needs ski, snowboarding and biking gear. They offer competitively-priced equipment rentals and have a knowledgeable staff to help direct you to your outdoor adventure needs. Get the gear: Check out Willard’s for your outdoor equipment needs as well as outerwear, accessories and boot fitting. 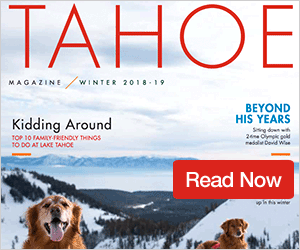 “Whatever you’re doing out there, we have gear that will suit your needs,” said Corey Champagne, head of ski boot fitting and running department at Tahoe Sports Hub. The store offers gear to suit all mountain skiers, including a variety of brands and styles for skis. Tahoe Sports Hub has a knowledgeable staff to point you in the direction for niche activities, such as backcountry, telemark skiing and snow surfing. They offer a range of outerwear brands, helmets and accessories as well as custom boot fitting. Get the gear: Stop into this store for a large brand selection of outdoor gear and sports wear. Get the gear: Head to Tahoe Mountain Sports for a variety of outdoor sports equipment at a range of prices. Owner Blake Goldenberg describes Village Toys as a “one-stop family shop” where patrons will find many classic toys. Goldenberg said that they shy away from stocking technology-focused toys in favor of educational toys, puzzles, family board games, dolls, stuffed animals and outdoor games. Village Toys carries several sleds and sauces that are popular for that fresh snowfall in the winter. If you visit the Incline Village location, be sure to head to the attached Susie Scoops for ice cream. What you’ll find: CC’s specializes in everything pirate-themed, and is ideal for gifts, theme parties, home decor and costumes. What you’ll find: This popular store carries a large selection of Tahoe-themed gifts, souvenirs, clothing, toys and home decor. If you’re looking for gifts or souvenirs to take home from Tahoe, Sugar Pine Gifts offers many unique items that can’t be found anywhere else. Owner Barbara Van Maren said she tries to carry local artists in addition to an array of bear-themed items, which are always popular. Sugar Pine Gifts sells ornaments year-round, but also has Christmas decorations and gifts ideal for holiday shopping. What you’ll find: Stop in to this store for Tahoe-themed souvenirs, T-shirts, sunglasses and bears. Truckee Variety Co. is jam-packed with unique gifts, souvenirs, crafts and toys. A longtime staple in downtown Truckee with an old-fashioned feel, this spot has something to offer everyone. What you’ll find: This toy store has a wide variety of classic and educational toys, as well as dolls, kits, games, puzzles, dolls and outdoors toys. What you’ll find: This store is catered just to kids items, and offers clothing, toys and outdoor sports gear.